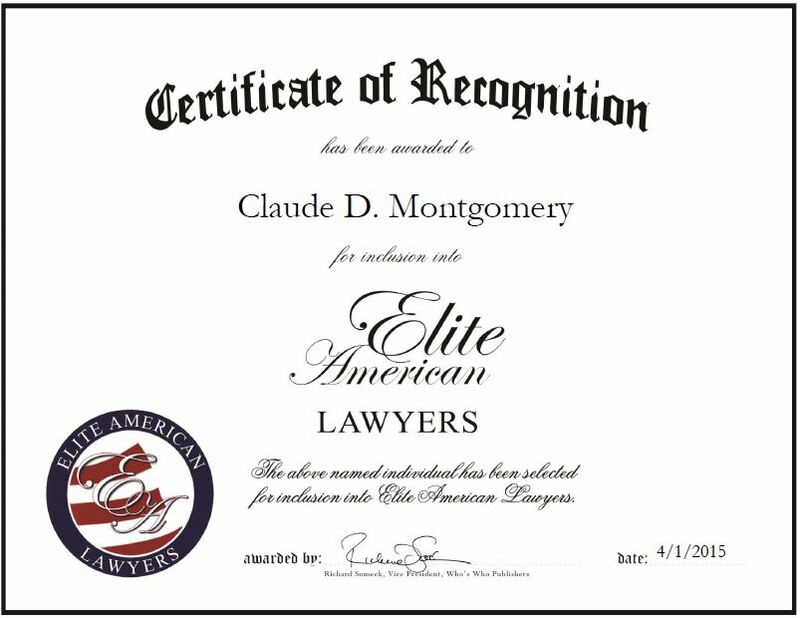 New York, NY, April 1, 2015, Claude D. Montgomery, Attorney at Dentons, has been recognized by Elite American Lawyers for dedication, achievement, and leadership in litigation. Mr. Montgomery is a highly regarded attorney with 36 years of practice in the field. Over the course of his career, he has gained experience as a litigator at both the trial and appellate levels. Mr. Montgomery specializes in hotel industry disputes and business reorganizations, as well as restructuring, bankruptcy, and finance. He spends his days serving on the U.S. board and working with a wide range of clients, including debtors, creditors, trustees, corporate officers, lenders and buyers. Mr. Montgomery has achieved great success over the course of his career, representing clients across the country and international entities. He co-led a team recognized by The M&A Advisor’s 2014 Restructuring of the Year Award, authored numerous articles, and presented at conferences and seminars. Mr. Montgomery is an AV rated attorney by Martindale Hubbell and was featured in Super Lawyers magazine from 2006-14. He became involved in his profession because he wanted to do some good for the economy. Looking toward the future, Mr. Montgomery intends to continue excelling and having fun in the field of municipal bankruptcy. This entry was posted in Litigation and tagged AV Preeminent Attorney, bankruptcy, finance, restructuring, trials, U.S. board. Bookmark the permalink.